We must acknowledge the profound effect television, the internet and other forms of new media have on the shaping of our lives. Gone are the days when country folks raised their rural children based on home, church and school alone. As a boy, we looked forward to annual visits from our cousins from Philly because they knew the “latest.” Today, fashion, cultural and social trends are beamed around the globe instantaneously and often without parents’ knowledge. Educational T.V. : Television is a very powerful educational tool—for good and bad. I cringe at the notion that people in the American heartland formulate their views on Blacks and Hispanics from watching the Maury Show and music videos. The same could be said about non-southerners learning about rural Whites from that Honey Boo Boo reality mess. Reasonable people should be intelligent enough to know that T.V. characters and reality show exaggerations are not accurate reflections of real life. On a positive side, the high channels on T.V. provide detail knowledge of every academic field and much much more. A kid who wants to be a lawyer can a develop pretty good understanding of the law from watching Court T.V., Cops, Law and Order and C-Span. The Food Channel teaches people how to prepare restaurant quality meals at home for pennies on the dollar. Car nuts and grease monkeys can watch automobile programming to their hearts content. Of course, the internet and You tube is like the best interactive learning resource ever. Classic T.V. : From a public policy standpoint, we must admit that many people grow up in less than ideal environments. Prisons are filled by people who no one showed the path to peaceful, positive living. If use wisely, certain t.v. shows can assist parents in child-rearing. As a kid, I loved watching the life lessons on old shows like Leave It To Beaver and Bonanza but those people didn’t look like me. The game changed when the Cosby Show, Family Ties, and Family Matters hit the box. The Huxtables showed all of America that Blacks could be high level professionals and Family Matters did the same on a middle class style. Actually, Good Times was as helpful as Cosby. While the character of J.J. was silly, James and Florida Evans raised great kids in a rough environment. Because prime time T.V. today is messy junk, kids should sit down and watch the classics with their families as a model for wholesome family life. Social Media: Facebook isn’t necessarily the devil and You Tube can be educational. Like any tools, social media can be used for positive or negative reasons. Another section of this project went into details about youth wanting to emulate thugs, pimps, dealers and strippers from music videos. 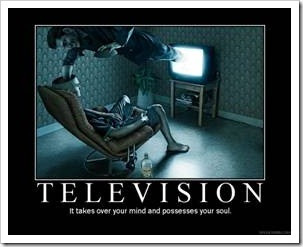 Well, those influences are injected into impressionable minds by T.V. and the internet. Again, people with jacked-up lives soon turn to the government for assistance. At the end of the day, no medium should have a stronger role in child development than family.